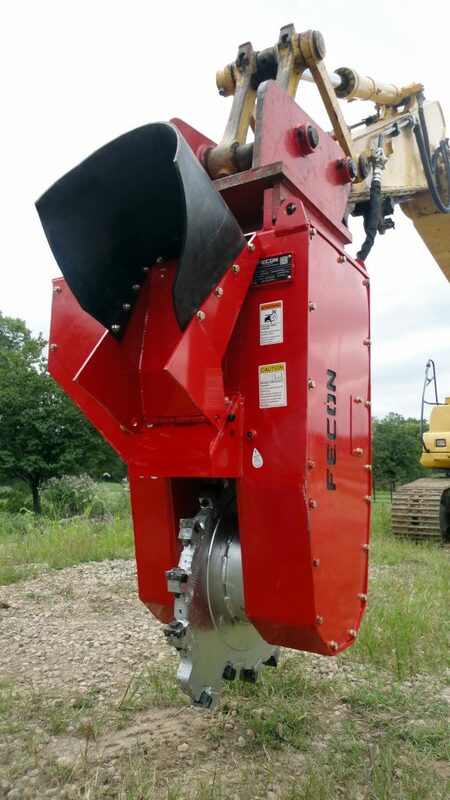 Sept 3, 2013 - Fecon has made an addition to its stump grinder product line - the SH360 Excavator Stumper. The SH360 mounts to any 20+Ton excavator via a bolt-on mount custom fit to the particular excavator. Hydraulics and drive train can be set up for the power provided by the excavator in the 45-65gpm range and up to 5500psi. For ultimate performance the SH360 can be set up for the Fecon BHP170 and BHP250 self-contained powerpacks with Fecon Power Management that deliver 65-105gpm. SH360 with optional debris trap Fecon adds the SH360 Excavator Stumper to its stump grinder product line. Wood prices down in Western U.S.